“It’s not about the destination; it’s about the journey.” We’ve all heard the quote;” and most everyone can recite it. We can even recite stories of other people whose journeys have changed tragedy to triumph, failure to success, unawareness to awareness, sadness to joy…and so on. However, sometimes, an unplanned side-trip leaves a mark on your life that uncovers greater meaning and depth than the intended journey. Grief is its own journey. It’s a remarkable pilgrimage that can begin with sadness and end with triumph, success, or joy depending upon the willingness to step off the beaten path and experience the side-trips along the way. Most grievers expect their journey to be brief. It doesn’t require any particular planning, and grief simply fades away after a few weeks of intense emotion and reflection about those who passed. The immediate outcome a griever desires is a quick return to a happier place where stress, disappointment, uncertainty, bitterness, and unresolved sadness disappear. However, if we happen upon that fork in the road, which one do we choose? “Getting over it” becomes a griever’s mantra and single focused destination after the death of a significant loved one. The griever fails to find any reasonable explanation for the need to linger or focus on the experiences along the way. This journey may be an inconvenience or an intrusion on an enjoyable life, and getting back to normal becomes the goal. If we rush too quickly to recover, we are likely going to miss some of the most rewarding experiences, the profound teachings of life and death, and a period of transition and change in ourselves that can prepare us for our own sacred journey. Far from a grievers’ thoughts are any early inklings of this being a life-changing event, self-analysis of a life lived, or the beginning of something deeper and more personal. These become the side-trips. Though unexpected they have the power to transform lives. We become fascinated with “connections”, awed by life stories and the events that alter lives, and obsessed with redirecting our own lives towards a well-planned legacy. It’s not that we, my husband, Gary, and me, needed a side trip to awaken our emotions and redirect our destination. We’ve already taken that side-trip. But what amazes me is the repetitiveness and confirmation that the path we chose still serves a purpose. And so it was with a recent trip we planned out East by way of Philadelphia, Boston, New York and Canada. Together, we spent countless hours planning the miles to travel per day, points of interest, places to stay, and places to eat. In fact we had a very detailed itinerary that promised all the highlights we wished to see. In one final pass of the planned itinerary, we chose to add a never heard of place (at least not to us). Alexandria Bay wasn’t listed in the travel books as a destination to visit. It intrigued us because of its romantic story about a Castle that was being refurbished on an island named Heart. The Castle of Secrets on Heart Island was built by a millionaire in 1904 and boasted stories of secret hiding places, tunnels, and ghosts. Sounded a little bit romantic and exciting, all at the same time! Alexandria Bay, New York is connected by the Thousand Islands Bridge to Ontario, Canada. Therefore, this side-trip wasn’t too far out of our way. Online we read about the castle and its history of loss and broken hearts. George C. Boldt, millionaire proprietor of the world famous Waldorfs Astoria Hotel began construction on the luxurious castle to display his love for his wife Louise, until she died suddenly. He couldn’t imagine his dream castle without the love of his life. So he ordered construction to halt; and Mr. Boldt left the island never to return. The castle stood, unfinished, as a monument of his love. Visitors walk the hallways and stairways of the castle today and can visualize his dreams. Today the castle is being completed as a historical site. Our side-trip to Boldt Castle in Alexandria Bay reminded us that the side trip can turn out to be a positive experience if you allow yourself to travel where the journey takes you. Rather than fighting the urge to get it over with, or judging your choice, or devaluing your experience, you have the opportunity to let this become something greater. Sometimes the least anticipated adventure turns out to be an experience that gives deeper insight to personal growth. The story surrounding the Boldt legacy was such a reminder of the unexpectedness of life. You can have “everything” and a life crisis can leave you stripped to nothing that adds value and purpose to living. At that point, moving forward is governed strictly by choice. You can walk away or use the experience to build something greater and stronger than imagined. It’s your choice and affects all your days and nights going forward. Getting to that peaceful destination then requires a new kind of focus. Sometimes painful memories and overwhelming questions burdened with uncertainty cause stress. 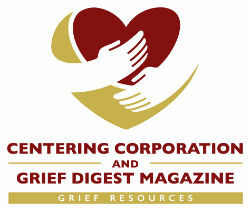 When Gary and I began our journey through grief, we were truly uninformed. The death of our son, by suicide, was our first significant grief experience and was masked with taboo. Not only did we feel that people didn’t know how to relate to us, we were at a loss of how to live in a world of overwhelming sadness. We hesitated to ask for help and support. The model we were raised with was to struggle through it on your own. Our first spoken choice was that we wouldn’t let this destroy our lives or our marriage. And that commitment gave us the strength to seek resources to understand grief. We chose various side trips along the way. We chose to put ourselves in uncomfortable situations at grief seminars and other learning events because we needed to face the good grief and the bad grief until we knew the difference. We chose to talk about our loss and the ugliness of death by suicide because we needed to accept ourselves that it was just death by another name. We needed to know that our son was not defined by how he died, but rather by the values and character he built while he lived. We chose to make it our passion to help others with grief because we understood the helplessness of being misunderstood. In grief, there is no shortcut. Grief work—getting in honest touch with your feelings and exposing them, is exhausting. One day, we felt like we were going to be okay. We could handle this. The next day, we might come crashing down with a lightning bolt grief burst. We scheduled “time-outs”, days away from grieving, to allow our fortitude to recharge. After months and years of relentless searching and trial and error, the vision of our destination came into sight. And so did the accomplishments, the personal growth, and the awareness that life—even with all its mysteries—still had bright possibilities in store. Living life to the fullest is about a continuous journey—whether or not it is complicated by grief. We constantly evolve and reach for the distant star. If we allow ourselves to become complacent and obsessed with any obstacle along the way, we find the obstacles become bigger and the lessons harder to live with. Death and loss are just two of those obstacles along the way. The trip of your lifetime is about the choices you make, experimenting with side-trips along the way, the mysteries and discoveries, the stories and the memories, and the wisdom from your experience that makes you who you are today. After all, there is only one final destination—going home. And this involves being proud of your life with few regrets. The legacy you leave is the spirit you developed from each and every side-trip. It’s the lasting flicker of life that shines in your honor for generations to come. When life is going well and we are happy, a destination seems less important. We live in the present moment. We enjoy the experience. So perhaps the bigger goal is to make peace with our past disappointments, our losses, and our grief so that we can discover what we can take away from the ongoing experience. Seek out the adventures. Let the path lead you to where you are meant to be. Pause at unplanned stops. Explore the ride. Beware of the obstacles and work through the roadblocks. Appreciate the pleasant moments. And, delight in the discoveries. Your most notable side-trip in life that defines who you are might have been unplanned, but highly worth the experience.